For many of us, writing isn’t our day job. This, combined with bad experiences in English class, can cause anxiety around writing. Even professional writers experience writer’s block at times. Producing content regularly requires a well-greased writing habit. An excellent way to establish this is free-writing. By writing more, you will not only produce more work, but you will also start to feel more comfortable with your voice. 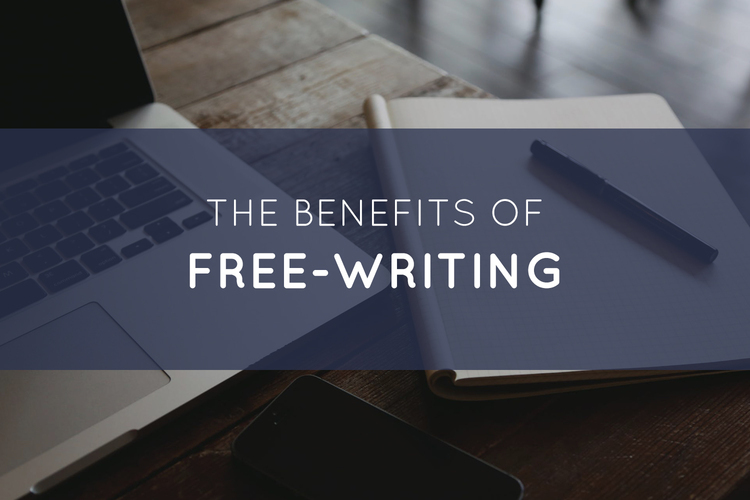 Free-writing is just that—writing freely. You write out any thoughts or ideas you have without stopping to critique yourself or edit your writing. It’s a valuable tool not only for starting a project, but also for making writing a familiar habit. 1. Ignore the urge to edit as you go. Editing is a crucial step in the writing process. However, all too often we let editing get in the way of writing. Before you can perfect your organization and grammar, you need to have your ideas down on paper. Just like any task, constantly starting and stopping reduces your overall efficiency. Think about baking cupcakes. You wouldn’t bake and frost cupcakes one at a time. Instead, you mix all of the batter, bake all of the cupcakes, and frost all of the cupcakes in steps. Writing works similarly. You write most of your content, then edit. While you may have to go back and re-write a section, the bulk of your writing is done at the beginning. 2. Write for a set amount of time or words. Free-writing is focused on quantity, not quality. Forcing yourself to hit a goal can help you build endurance as a writer. You might feel uncomfortable at first, especially if your writing is a little rusty. Start small at the beginning with just a few minutes. As you become more comfortable, you can determine a goal that’s both challenging and reasonable. Your goal doesn’t need to be the same for every project. For example, you might make it a habit to write for 5 minutes every evening. When you’re starting a new project, however, you might want to spend 10 minutes writing specifically for that project. Use free-writing in whatever way works best for you. 3. Hold on to your thoughts. As you get into the habit of free-writing, you will become more comfortable producing content. But you’ll also have a record of great thoughts and ideas that have come across your mind. A topic you didn’t pursue at the time may become more interesting later. One way to keep your jumble of thoughts useful is to go back and re-read your writing at a later time. Highlight any intriguing passages hat you want to revisit later, maybe for a future blog post. If you’re particularly motivated, you can record you thoughts digitally and organize them by topic into a document or spreadsheet. While this is by no means necessary, it can help you build up a database of ideas. Free-writing is a great tool for any writer. If you have questions about getting started, feel free to reach out using the Contact Us form or by leaving a comment on this post!